The 20V20 concept previews a potential Seat SUV close in size to the Audi Q5. Volkswagen’s Seat brand is mulling a family of SUVs as it seeks to boost volume and become sustainably profitable. 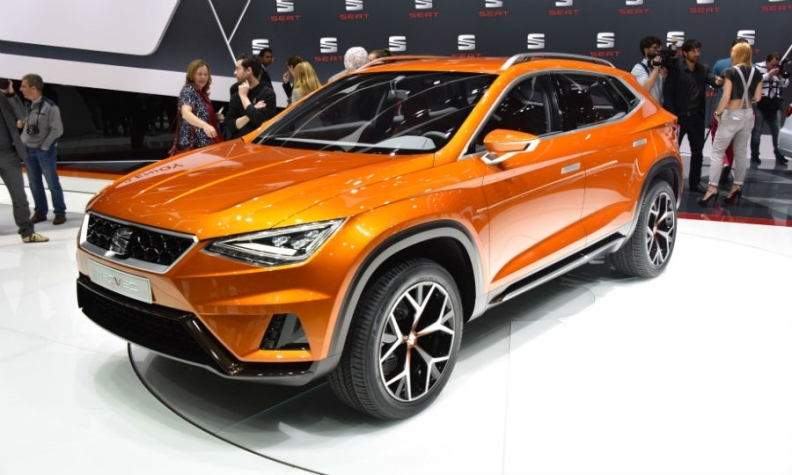 Seat CEO Juergen Stackmann said the brand could offer different designs as well as different sizes of SUVs, pointing to a possible coupe-styled crossover. The brand’s first SUV will go on sale next year. The compact model will be based on VW Group’s MQB architecture that will also underpin the new-generation VW Tiguan. The Seat SUV will be built by sister brand Skoda in Kvasiny, Czech Republic, alongside a Skoda sibling. Seat unveiled the 20V20 concept at the Geneva auto show last month previewing a larger SUV that could go on sale by 2020. At 4660mm in length, the 20V20 is close in size to the Audi Q5. The Seat concept also was designed to accommodate different drivetrains, including a plug-in hybrid, along with having four-wheel drive and room to accommodate five people comfortably, Seat said. Currently, Seat relies on smaller cars -- the Ibiza subcompact, Leon compact and Mii minicar -- for the bulk of its sales. The brand sees the fast-growing, more profitable SUV/crossover market as a way to boost volume and end years of financial losses. Stackmann said that the 2020 time frame for the larger SUV is because Seat customers currently would not accept such a large vehicle. “In order to create a customer group that will put Seat on the shopping list for this size of car we need time to develop the brand. If we get there earlier we will,” he said. Increased sales of the Leon have shown customers are willing to buy larger cars from the brand, Stackmann said. Helped by the success of the new Leon, Seat swung to a 33 million euro operating profit in the first quarter from a 36 million loss in the same quarter last year. The result was Seat's first quarterly profit in seven years. Seat's vehicle sales grew by 10 percent to 102,700 vehicles, a brand record for the quarter. The Leon showed the highest sales growth with a 14.6 percent increase to 39,700 units, Seat said in a statement on April 16. The Leon is catching up with the Seat's best-selling car, the Ibiza subcompact, whose volume grew by 9.5 percent to 41,900 in the first quarter. German media reports have said that Seat is also mulling a subcompact SUV that would rival models such as the Nissan Juke.